What Should I Do for Relapse Prevention? Over the last few decades, more and more research shows that addiction is a legitimate disease. A disease is a disorder of a function that produces signs or symptoms and affects a specific organ. In the case of addiction, the brain is what’s affected by the disorder, and it makes a person lose control. Although relapse statistics may seem high, an addiction and subsequent treatment, including relapse prevention skills, actually give a person the best chances of recovery. You may be wondering why so many people relapse, then, if they have a better chance of recovery, and the answer is simple. Relapse prevention is all about a person’s willingness to take suggestions and try a new way of living. In most cases of relapse, it’s due to the fact that a person’s own stubbornness and closed mind gets in the way. They say that the only thing you have to change to stay sober is everything, and it’s definitely true. To have this part of the brain not functioning properly is a very dangerous combination for people in recovery. Many people don’t wake up to the fact that they have a problem due to lack of self-awareness. Without awareness and logical decision making, that part of the brain tells the person he or she must have their substance. On top of that, when a person doesn’t feel a connection with others, recovery is difficult. When you’re entering into a treatment program, the only things you need are honesty, open-mindedness, and willingness. With these three traits, recovery is possible and you can prevent relapse once you leave treatment. You must first start out with willingness because that leads to having an open mind and honesty. Without the willingness to open your mind, you won’t take the suggestions that may save your life. It’s important to realize that treatment is there to help you and teach you a new way of living, and it’s rough. You have been running off self-will for a long time, so it’s very difficult to begin taking instructions from others. It’s going to take your own personal willingness and honesty to be able to recover from addiction. The good news is that you don’t need to do it all at once. You can take baby steps. There’s a misconception of people going to treatment as well as his or her loved ones that recovery is quick. Addiction treatment is only there to help you set up a foundation for your new life, but it’s a lifelong journey. Much like many other chronic illnesses, you must treat your addiction on a daily basis by practicing new skills. You’ll learn different coping strategies in treatment and also have a wide range of other healthier options as well. 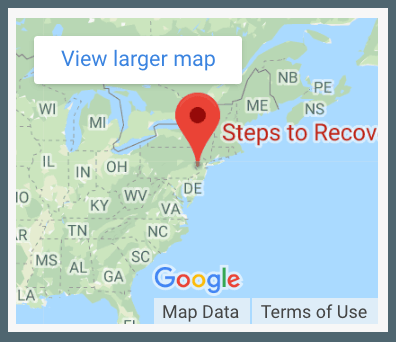 Allow Steps to Recovery help you with your drug or alcohol addiction as well as relapse prevention. We work with a local detox center that will help you with the withdrawal symptoms before you begin treatment. When you transition to our program, you’ll go through a wide range of different therapeutic programs. Call us today at 866-488-8684 to take the first step towards getting the help that you need.